Apparently I blinked and a whole week flew by. This time last Thursday, I was preparing to pick auntie up at Penn Station in anticipation of our day in the city with Isabella, masquerading as tourists at Macy's, Rockefeller Center and the American Girl store. It's suddenly Thursday again, and I'm shifting into high gear, wondering if I will possibly get all my gift baking done. 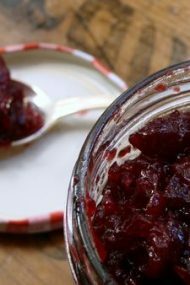 I've resolved to keep it simple this year, and luckily recipes like the chestnut spread I just shared with you all make me look like a rock star with minimal effort. I have another easy, no-bake recipe that'll have your friends and family feeling the same way about you. This is one of auntie's standards, and has graced her cookie plate for decades. I suspect it's a cousin of the buckeye, which incidentally I'd never seen a recipe for until Deb blogged about them (I should come out of my cave more often, I suppose). Always one for putting my own spin on things, I decided to up the ante in auntie's peanut butter bon bons. The original recipe calls for melting the butter and peanut butter together. My somewhat insane auntie then used to use her bare hands to combine the boiling hot mixture with Rice Krispies and confectioner's sugar. I'm guessing this will ensure a speedy pass through the pearly gates. I tried it once years ago and resolved there had to be better, less painful way. Over time I've tried a few techniques, including whizzing it all up in the food processor, pulsing just the Krispies to break them up a bit, and using the stand mixer to whip it all up. This year I decided to simply melt the butter alone, let it cool, then mix everything with my hands, well-washed of course. Hooray for less dishes! Oh, did I forget to mention I browned the butter too? Yes, that was my tweak this year. Since I was melting it anyway, why not? While making these it occurred to me that they are seemingly gluten-free, but this is where reading labels is very important. Traditional Rice Krispies have barley malt syrup which contains gluten. Erewhon make a crispy brown rice cereal that is gluten-free, so use that or your favorite gluten-free crisped rice cereal to make these a safe treat for everyone to enjoy. If you're using sprinkles for decorating, remember to check that label too. For more gluten free holiday cookies, check out my friend Silvana's blog Dish Towel Diaries—her new book Cooking for Isaiah offers the perfect answer for gluten-free versions of cherished family recipes. As for tempering chocolate, I must confess I never do it. Gail said a good way to "cheat it" is to add a tiny bit of vegetable oil to help the chocolate set to a hard snap. I'll report back after I make another batch. Please feel free to share your tricks for tempering in the comments! Melt the butter over medium heat in a small heavy bottomed pot. Cook until it begins to brown, but not burn; it will smell nutty and fragrant. Remove from heat, and let cool for 10 minutes. In a deep bowl, add the cooled butter, peanut butter, crisped rice and powdered sugar. Stir with a rubber spatula to combine, then switch to using clean, washed hands, to finish blending together until well mixed. Take a scant teaspoon of dough and form into a 1-inch ball. Set on a parchment or silicon lined rimmed sheet. Repeat with remaining dough until there is no more. Chill in refrigerator until firm, preferably overnight. You can alternately quick-chill them in the freezer for 3 hours. 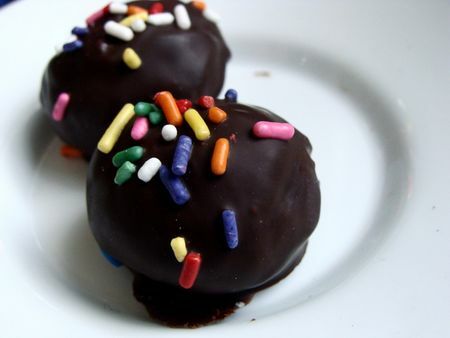 Add chocolate to a microwave-safe glass bowl and cook in 30-second intervals, stirring in between, until melted. Working quickly, dip chilled peanut butter balls into the melted chocolate. Decorate with sprinkles if you like. Place back on parchment or silicon lined rimmed sheet and let sit in a cool dry place until chocolate is set—a quick sit in the fridge for an hour does the job. I feel like I’ve hit the mother lode, now that I have this recipe! Thanks, Jennie!!! Hey! That’s a Lazy Mom Recipe! YUM! Oooh delicious! Tempering equals microwaving to us – probably not the most professional way but it never fails! Microwave in 30 second intervals and just stir til melted. And we’ve also tried the veg oil trick and it works well too! Love these – we call them rein deer droppings. You’re killing me with this. 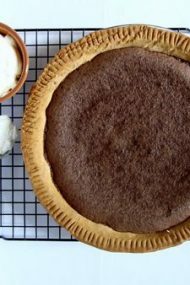 Fast, easy, peanut butter, chocolate, browned butter? Seriously, stop it. I’m honored to have one of my “best” recipes on your web site. I actually got that recipe about 30 years ago when I attended a football game at Leigh University. One of the local Pennsylvania ladies had them at a tailgate party and was kind enough to give me the Peanut Butter Bon Bon recipe and a recipe for a Pumpkin Roll. Remember to save some for your Mom. She’s addicted. Last year I had to give her own private stash. Moi addicted Mmmmmmmmmmmm when do I get some? Oh, delicious. I love peanut butter, and I love puffed rice. Given that my stove died a horrid death on Tuesday night and I’m oven-less until this coming Tuesday, I may add this into plans this weekend. My grandson is allergic to gluten, dairy, and peanuts. Now, THAT is a challenge. I have actually come up with quite a few treats for him, but if you ever have any ideas about that I’d love to see them. Sue, you should definitely visit Silvana’s website (www.dishtoweldiaries.com). Her recipes are gluten-free and dairy-free, and sometimes nut-free too. 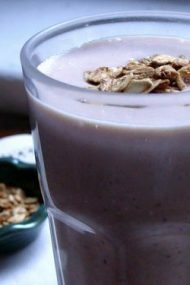 Shauna, at http://www.glutenfreegirl.com is also developing gluten-free and dairy-free recipes, and many are nut-free. I’ve been doing a lot of testing with GF and dairy-free too, so look for recipes in the coming New Year. 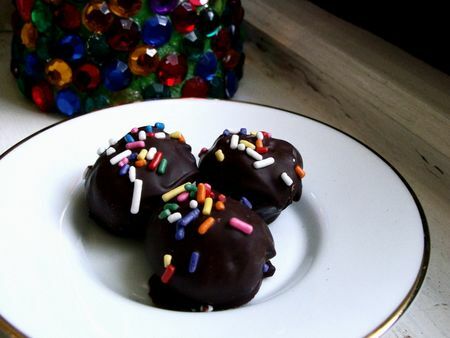 We make these every year – they’re called GG’s BonBons at our house, since great-grandma always made them. We add a little bit of food-grade wax to the chocolate as it melts – it makes them super shiny!!!! I love that these sound as tasty as they look playful. Is the confectioner sugar gluten free? What brand do you use? I was told that there is flour and starch in the icing sugar that I usually buy. Is this true? JP’s note: Confectioner’s sugar varies by brand, as some are made with cornstarch, and others with wheat starch. It’s always important to read labels to determine if a product is gluten-free. Hope that helps.